This facility is located at 28 Big Pinnacle Branch Road, Julian, WV 25529. Only 20 miles south of Charleston, WV on US 119. Staffed seven days a week (except major holidays) from 9:00 a.m. to 5:00 p.m. 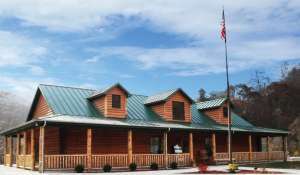 This facility offers: Trail Permits, Complete Line of Hatfield McCoy Trails Merchandise, Maps, Brochures and Area Information and Much More! This facility is located at 40 Welcome Center Drive, Logan, WV 25601. Only a few miles from the City of Logan, on Route 73. 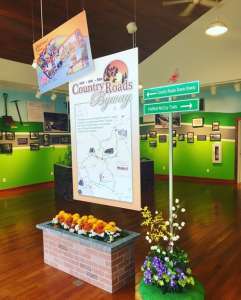 This facility offers: Trail Permits, Complete Line of Hatfield McCoy Trails Merchandise, Maps, Brochures, History and Cultural Information and Much More!